Kermit once sang, "It's not easy being green." That's true if you're an amphibious Muppet, but with brands like ILIA, it's certainly not the case if you're a modern-day beauty junkie who craves the best in natural and organic cosmetics. 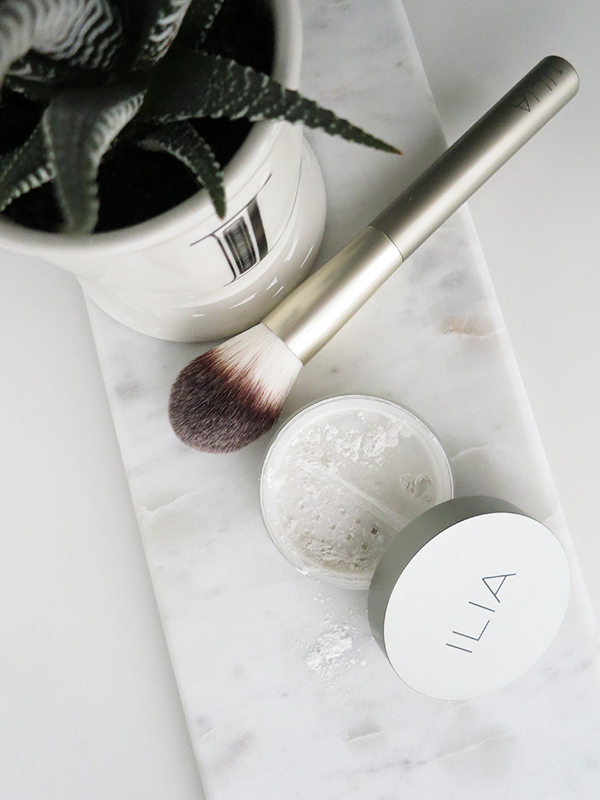 ILIA first came on my radar in 2011 when I bought the Tinted Lip Conditioner in 'Shell Shock', and since then it's been my standard bearer for natural beauty that's chic, effective, and just an all-around pleasure to use. If you're as big a fan as I am, you're going to love what's new this season. ILIA'S creamy, easy, effortless textures get me every time. The Multi-Stick (which I previously featured here) makes it possible to highlight, contour, and do blush by literally applying different shades and blending with clean fingertips; same goes for the Silken Shadow Stick eyeshadow crayons (previously featured here). But all those creamy textures can descend into shine and slippage fast without a setting powder, which is why I'm so glad to see Fade Into You join the lineup. Fade Into You's loose translucent powder formula is a blend of corn starch, minerals, and good-for-skin natural ingredients like aloe leaf extract and passionfruit and rosemary oil. It's finely milled and truly translucent so it can be used on all skin types without appearing ashy or chalky, and even though a little goes a long way, if you over-apply you can always work it gently into skin with your makeup brush until any whiteness disappears. The powder immediately mutes shininess and imparts a soft, velvety finish. This is not an HD finishing powder and it won't keep skin from becoming shiny—I still have to use blotting papers throughout the day when wearing Fade Into You—but it's a very effective way of setting creamy products so they don't budge. To avoid spillage, the jar has a slide-and-lock lid to cover the holes where the powder comes out as well as a screw-top, but if you want a more portable option for on-the-go touch-ups, a brush with built-in powder is also available. 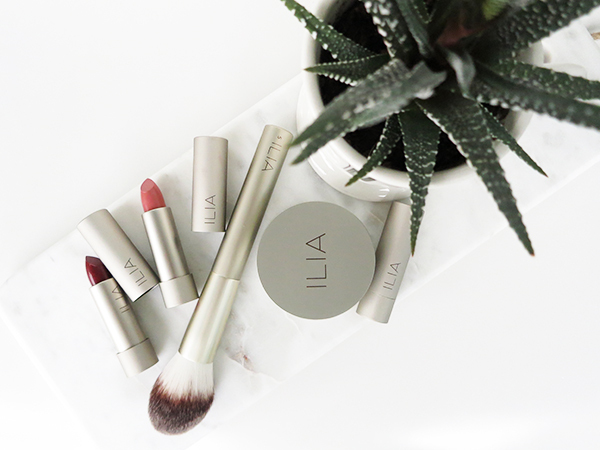 Also launching this fall and perfectly paired with Fall Into You: ILIA's new line of cruelty-free makeup brushes, including the Finishing Powder Brush. The pointed dome shape of the brush and its soft, densely packed bristles make it ideal for gently patting and buffing loose powder onto the face. 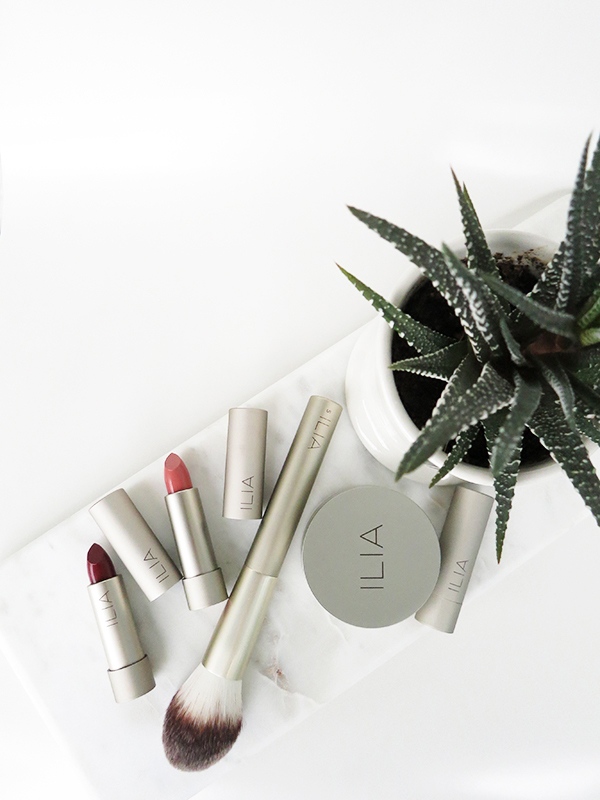 Fact: You can never have too many ILIA Lipsticks, especially when they keep launching new, covetable, wearable colours with clever names that reference famous songs and fictional characters. 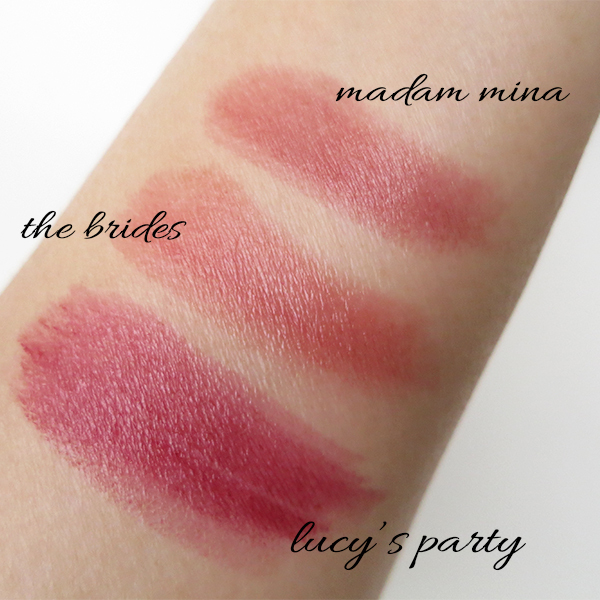 The three new shades for fall/winter 2016 all have names inspired by Bram Stoker's Dracula: 'Lucy's Party' (a deep oxblood red); 'The Brides' (named after Dracula's brides, but a surprisingly demure shade of dusty pink that's wearable for everyday and would be great for weddings); and 'Madam Mina' (blush mauve). These are all limited edition and unfortunately they seem to be sold out on ILIA's website and at BeautyMark (my preferred purveyor of all things ILIA in Vancouver), but maybe they'll become permanent additions by popular demand. 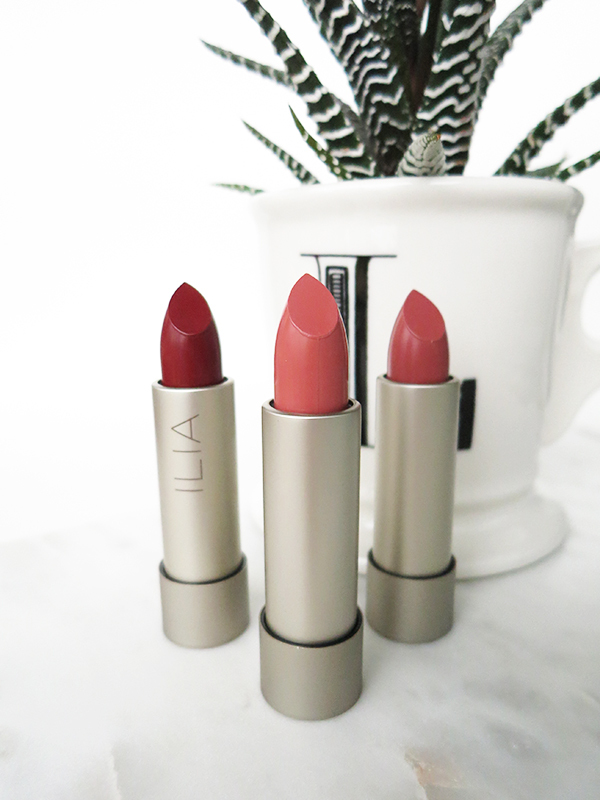 If you're used to hyper-pigmented matte formulas, the texture of ILIA Lipstick may surprise you at first. The emollient ingredients (a combination of natural oils, cocoa butter, and beeswax) make for a sheer, moisturizing lippie that looks and feels more like a tinted lip balm at first swipe. As you re-apply throughout the day and your lips drink in the moisturizers though, the colour deepens and intensifies, the pigments building up and staining lips but never appearing cakey or settling into lines. You get a subtle hint of face-brightening colour in the morning and a more dramatic shade as evening approaches.